Heaven gained another angel. 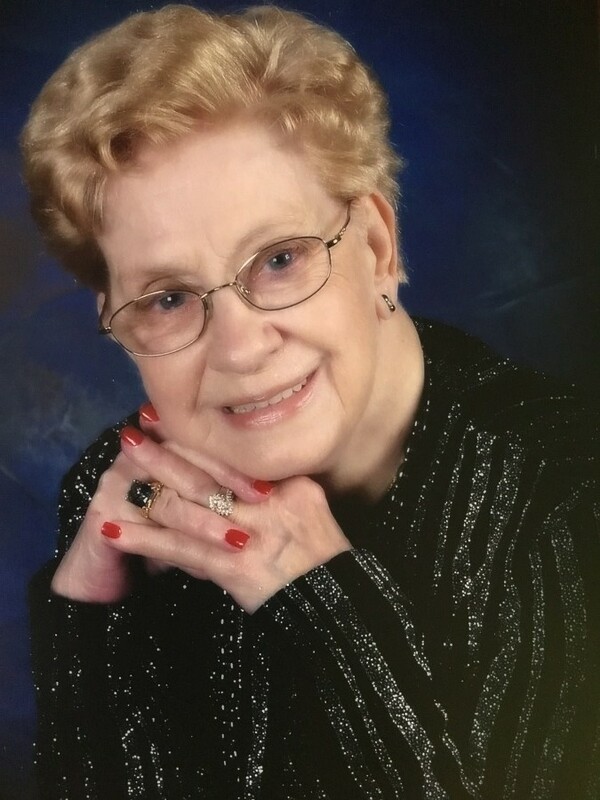 Frances Katherine Chapman (Kat), age 90, went home to be with her heavenly Father on Friday, April 5, 2019. Frances was born on August 19, 1928 in Birmingham, Alabama, the youngest daughter of Clarence & Naomi Welch. She married James Leonard Chapman Sr on December 15, 1943 and they were blessed with five children. Frances cherished her family and raising her children. She was known for simplifying issues with a wise and humorous response. She was preceded in death by her husband James Leonard Chapman Sr, sisters Jewel Law and Ruby Dunn, and her great grandson Adam Taylor. She will be dearly missed by her son James Leonard Chapman Jr (Pat) and daughters Sharon Levels, Jimmie Woodard, Kathie Clark (Buddy), and Deborah Dean. Frances had 9 grandchildren, 18 great grandchildren and 7 great-great grandchildren. Visitation will be held from 12:00 pm to 2:00 pm with the funeral starting at 2:00 pm at Crestview Memorial Funeral Home in Adamsville, Alabama on Tuesday, April 9, 2019 with the burial immediately following at Crestview Memorial Gardens. There is a time for everything, and a season for every activity under the heavens: a time to be born and a time to die, a time to plant and a time to uproot, a time to kill and a time to heal, a time to tear down and a time to build, a time to weep and a time to laugh, a time to mourn and a time to dance.